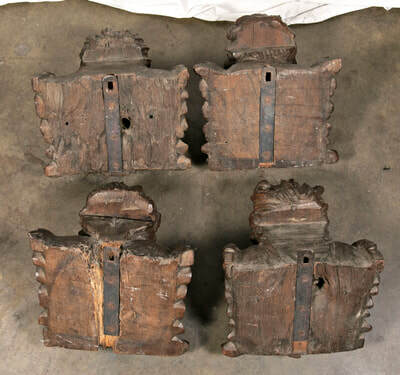 A sensational set of four intricately carved 18th century Baroque Italian cherubim. 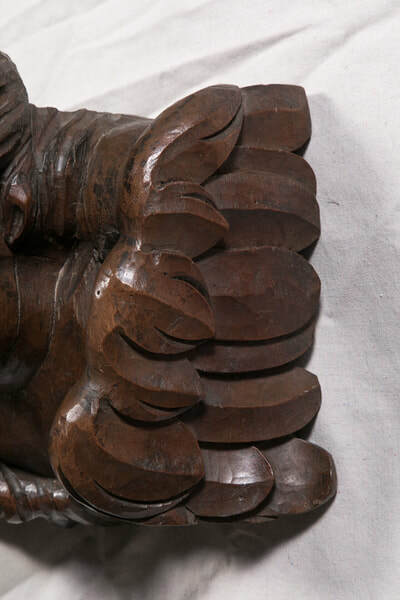 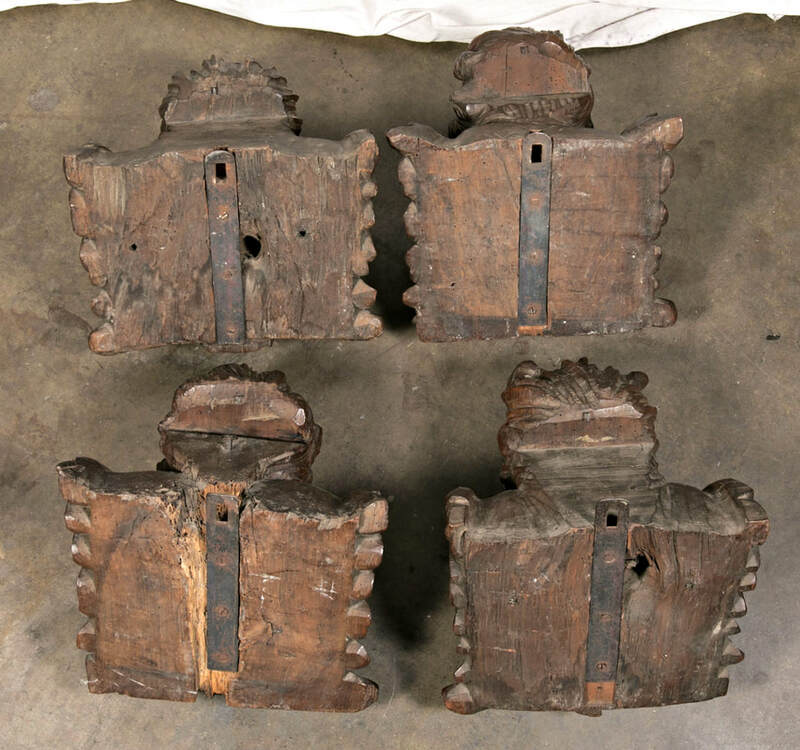 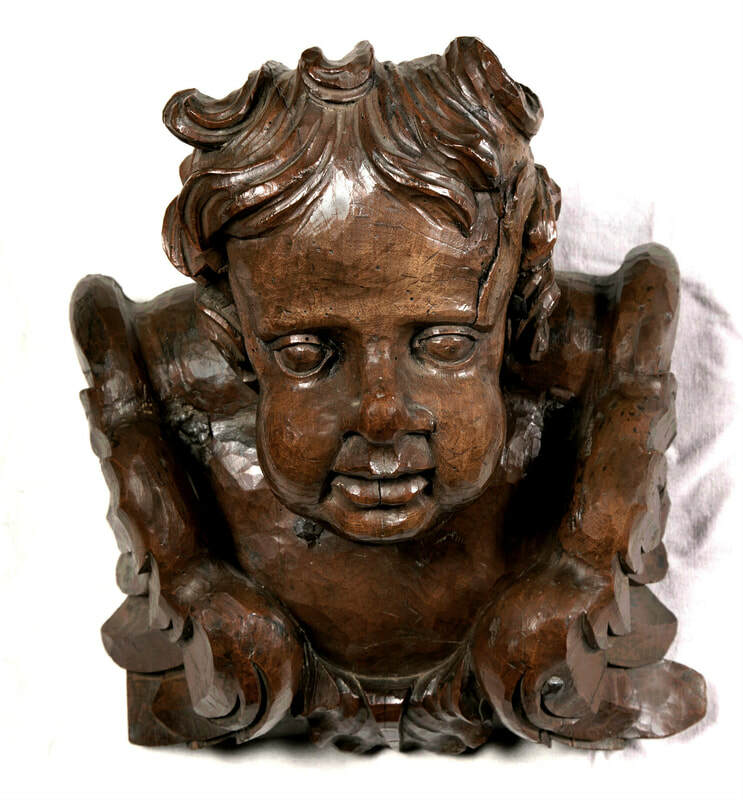 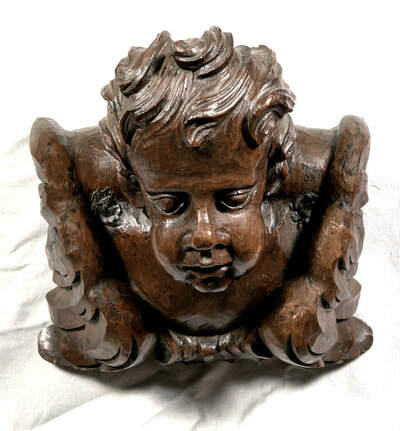 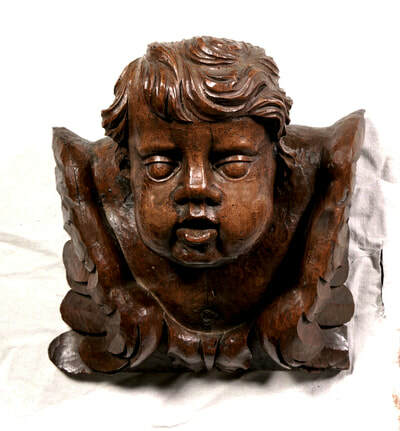 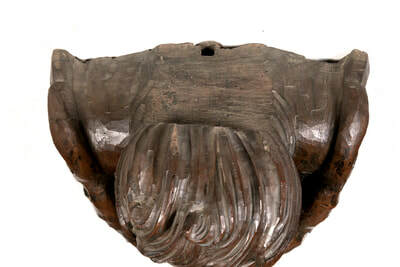 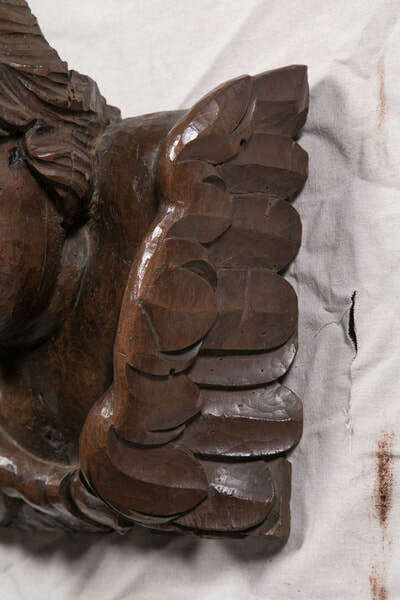 Hand-carved by a master artisan, this set of solid walnut cherubs came from a small church near Florence. 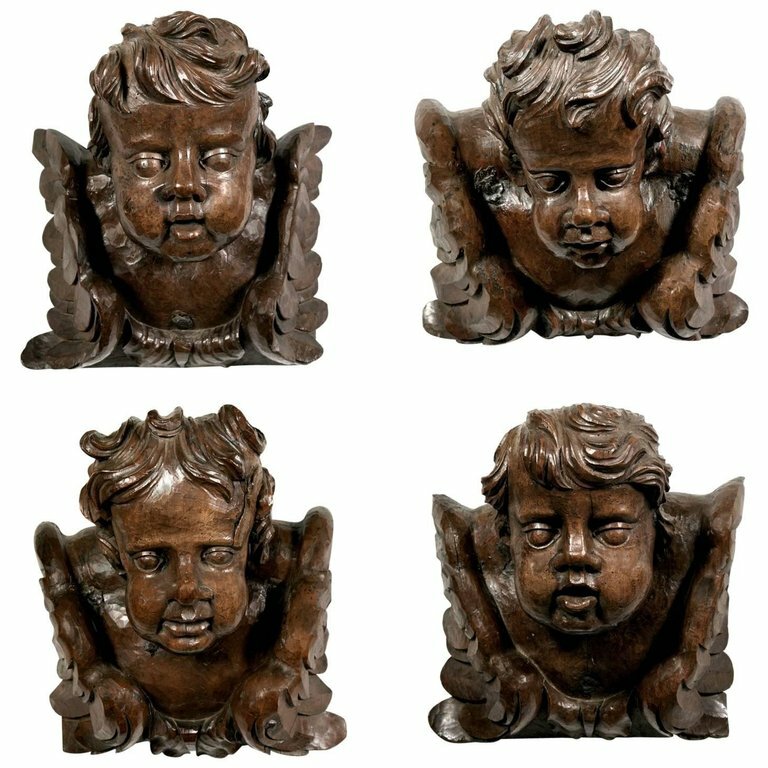 All the elegance and high style of the Baroque period are embodied in this fine set of ornately carved cherubs. 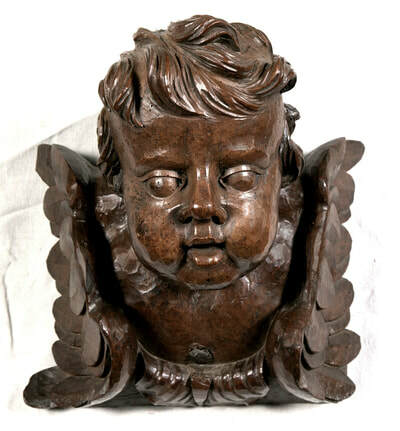 In wonderful antique condition, with beautiful detailing, and a lovely aged patina. 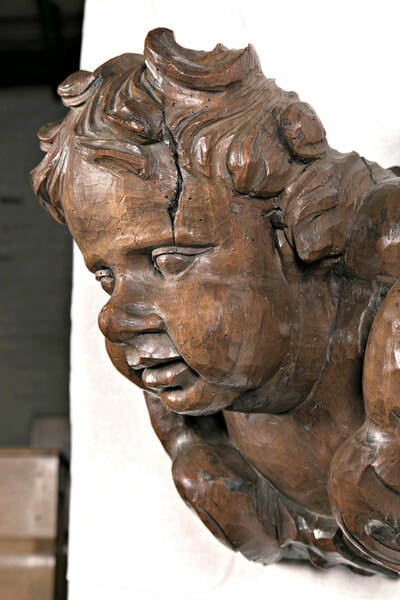 Some small cracks to the wood. 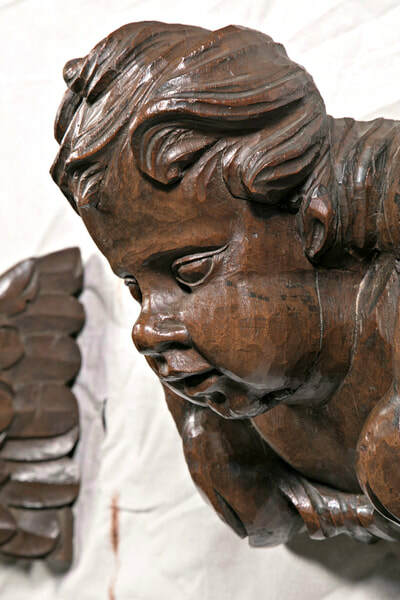 Cherubs were abundant in church decoration during the 17th and 18th centuries because they were indisputably acceptable to God. 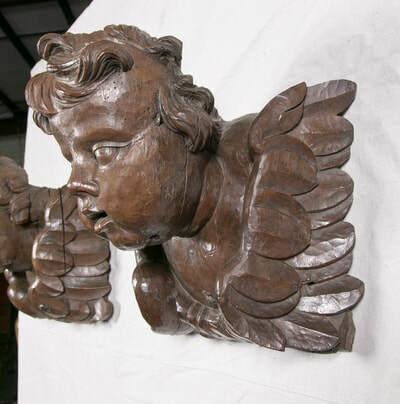 It's often difficult to define the difference between cherubim and putti, but most often cherubs appear in a religious context and are thought of as angelic, whereas putti are considered mythic or secular. 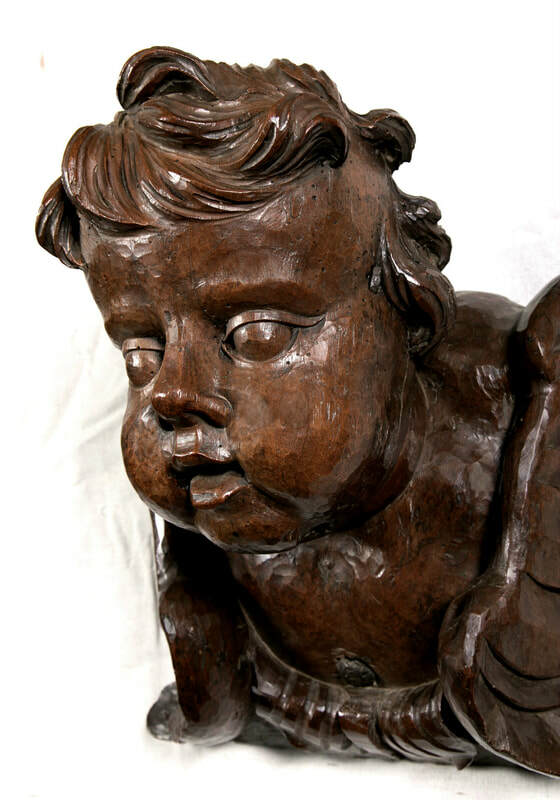 Both secular and religious putti began to appear in Italian works of art in the early 15th century, and were used by numerous artists including Raphael and Donatello. Dimensions vary slightly. Please call for more info. 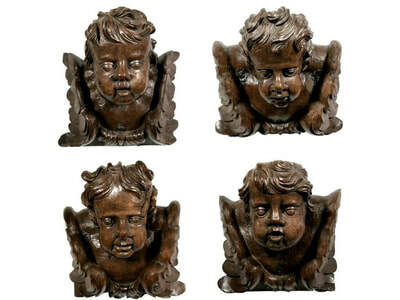 May consider selling individually.